The Woodland Ride meanders through stunning countryside overlooking the beautiful Tyne Valley. 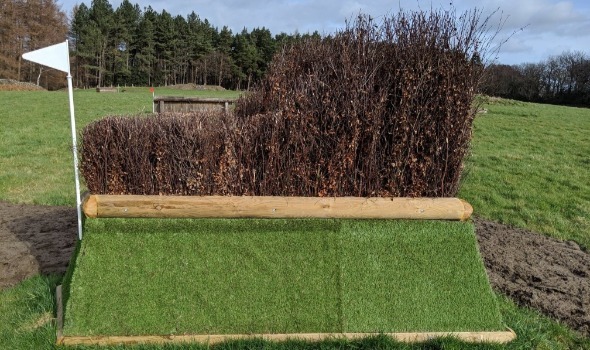 The ride combines a cross country course with lots of fun, optional jumps, most of which are graduated in height to accommodate beginners and young horses through to more advanced riders or experienced horses. The 5.5km route passes between conifer woodlands, rough grassland, arable headlands and hay meadows. In addition to the diversity of the landscape, wildlife abounds with deer, brown hare, badgers, farmland birds and, on occasion, a red squirrel. 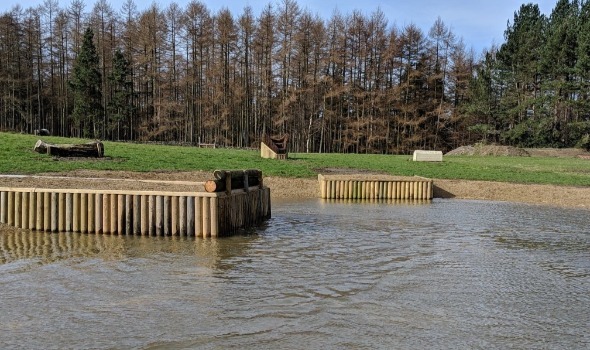 The Cross Country Schooling Field includes a water jump and a variety of ditches, banks and technical obstacles over which to school your horse. Jumps range from 30cm to 1.10m. As well as our regular Woodland Ride and Cross Country Schooling Days, the ride and field are available for hire subject to ground conditions and other activities. Arena: £20 for one horse up to 1 hour plus £5 each extra horse.